Interesting, I wonder why you had such wildly differing experiences then. Antony, are you really that aghast at the performance of the HD2 or are you winding us up? Definitely not a wind up. Spent last night playing with it and becoming more disillusioned. Camera crashed just trying to take a normal photo. 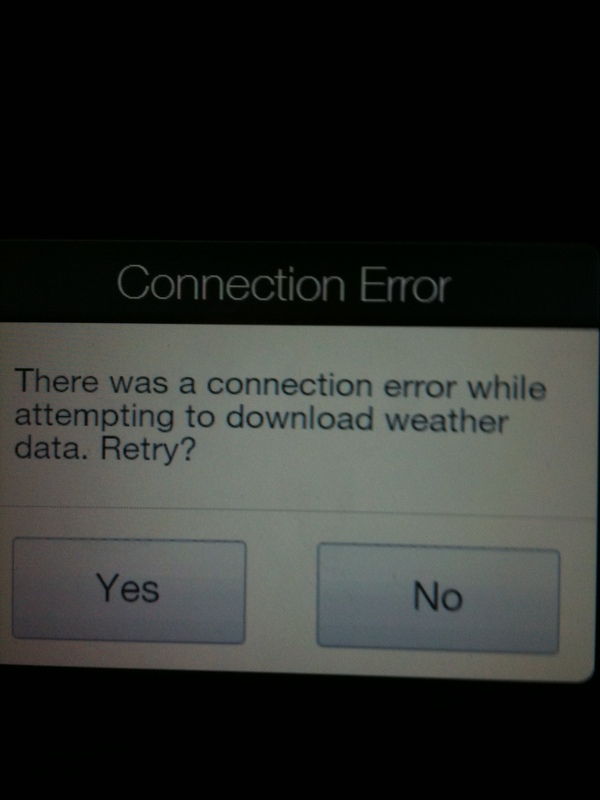 The weather app gives a connection error if it's left on current location, even though all the other locations update okay. 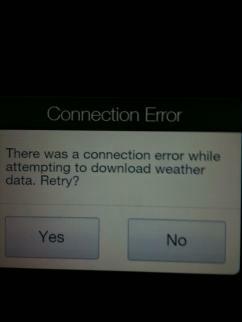 The Hero used to pick up my location by district rather than city and would then tell me no weather data was available. I assume this is the same problem but now gives a generic connection error message instead. The auto capitalise thing works on email, but not SMS or Peep. For a device that's priced as it is and positioning itself supposedly at the high end of the market, it's very very sloppy. I'm still undecided as to whether to send it back or hang on until we get some custom ROMs out for it because hardware-wise it is very impressive. It's just let down by shoddy OS implementation. My main concern in getting one would be the capacitative screen... I really can't imagine myslef doing everything with fingers even when I am home sitting at my desktop browsing trough registry or excell files. This is very disappointing news Antony, I had really high hopes for this device. Looks like I will have to hold fire. I think a capacitive touch screen is a requirement stipulated by MS for WM7. The positive is all of the problems are fixable. If not by HTC then there are a lot of extremely talented people out there who will no doubt be beavering away on custom ROMs even now. Also there may be a possibility of getting Android running on it. 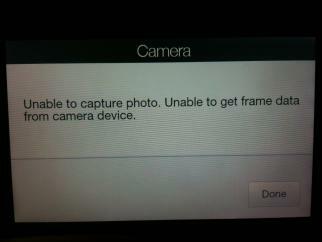 I'm just annoyed at being asked to stump up £500 to beta test a device that really should be rock solid out of the box. And given HTC's track record with WinMo updates, it may be a while before they get around to doing anything about the problems. Yoooo.... waiting for mine too!!! Im also waiting for my HD2 device !!! Like most people here i've been trawling the forums for days waiting for the release so i think i've read just about every user review out there to date - and while you are not the only person I've seen report issues with the release version, there are far many more who are having an excellent experience. So I wouldn't wait around - I would return the device and get a new one - sounds like you've got a dud. Just got my phone from expansys :). It is very nice and responsive!!! Beautiful phone :D. I think my fellas at omnia section will be disappointed but i needed this phone!! Disappeared from the Vodafone website - just a site glitch? Yeah, most articles ive read on the net gave a positiv feedback. Many of the reviewers already tested their corresponding final ROM's, havent seen that much problems on one device. Maybe theres a problem with it...AntonyW999, should return it asap and get a new one. gone gone gone .......where's it gone? gone gone gone .......where's i gone? I've found the same problem navigating through their normal channels but if you go through the 'upgrade' link, it was there. Had an email to confirm order has been processed. I was boring playing around with my omnia II for three months, without any custom rom! I am giong to hold off for a bit, a few guys over at xda are reporting issues here and there. Could be a lemon, send it back and get another one. Theres always a dud in every batch!! goes for eveything that you buy these days. I've read a few reviews and have been checking out xda, the keyboard lag issue is not an isolated case. There are various other niggles which you can find over at the xda leo forum too. It may be that only a few units are affected but I'm not willing to take the risk are the £500 mark. No. But that won't stop word prediction coming and going at random or the ludicrous amount of lag when trying to reply to a text message. I've pretty much given up on it for now as it's too frustrating to use. Love the hardware but this HTC Sense is pretty abysmal. In a couple of weeks there should be some decent ROMs to have a go at. Love the hardware but this HTC Sense is pretty abysmal. In a couple of weeks there should be some decent ROMs to have a go at. Why wots wrong with the sense UI? Why all the waiting on custom ROMs? HTC should have released this device with a decent ROM in the first place!! Also, in my experience custom ROMs are never as stable and always have more quirks and cause more agro than they are worth. The original shipped/official updates are much more predictable and stable if you ask me and I've done a fair bit flashing of ROMs over the years on various devices.